If you always pay your attention to details, then you will like our theme for today. 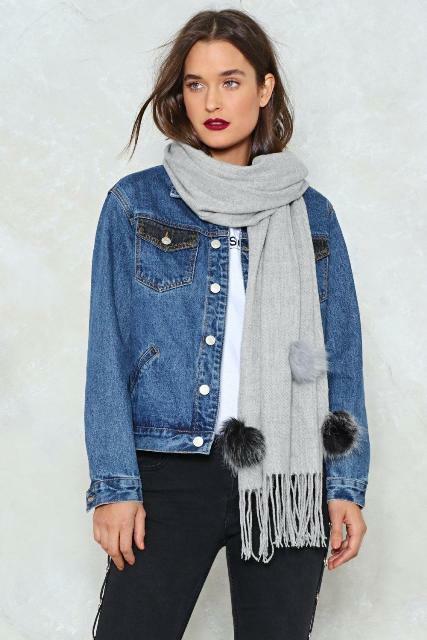 I’m sure you have (or will buy soon) a pom pom beanie, but what about a scarf? 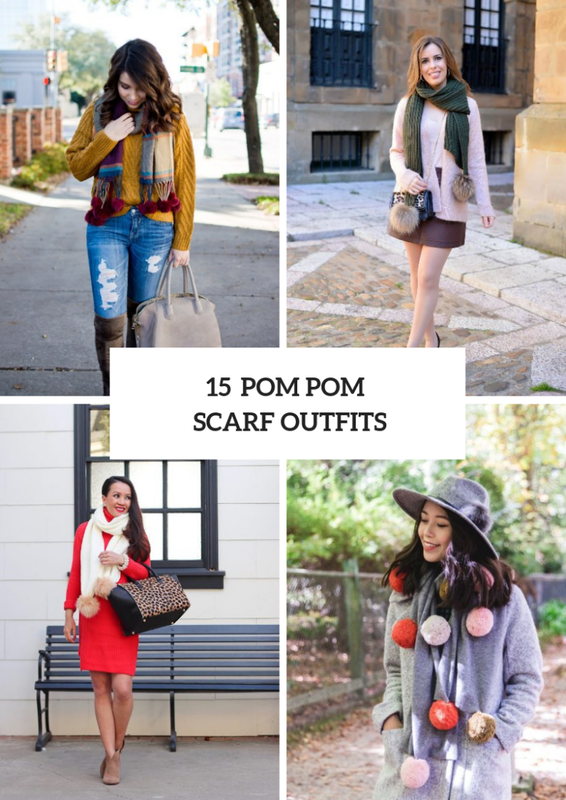 Scarves with pom poms are great accessories too! That’s why we have collected some cool and so amazing outfit ideas with them just for you. 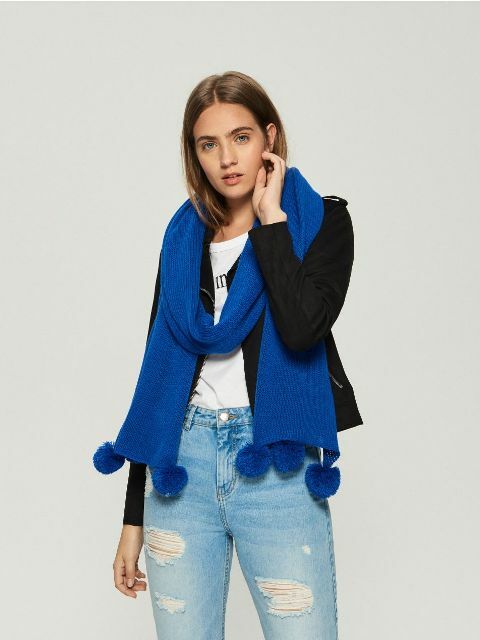 And as usual you have a really big choice of these items, so you can pick up an elegant oversized monophonic scarf with one or two faux fur pom poms and combine it with a sweater dress or take a eye-catching scarf with several colorful pom poms and mix it with a mini skirt, a t-shirt and sporty shoes. Right now you should scroll down and get inspired. 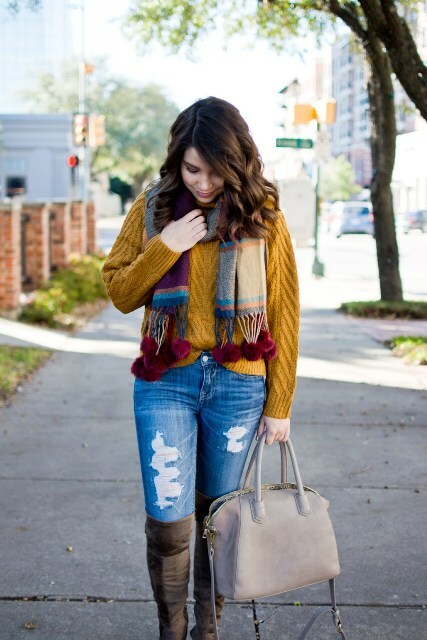 If you want to create a casual outfit, then you need to combine a mustard yellow loose sweater with distressed skinny jeans, a plaid scarf with marsala pom poms, high boots and a beige bag. 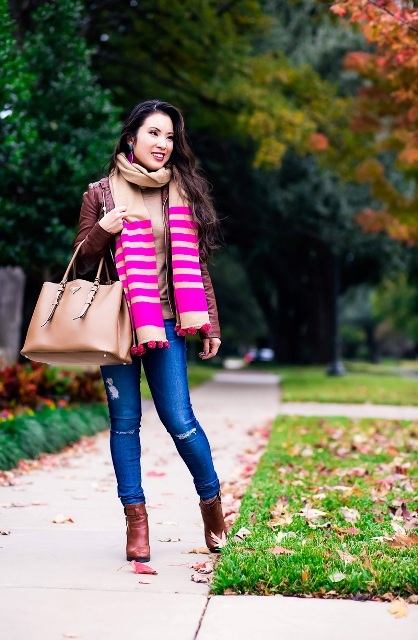 Or you can try to repeat a look with a beige shirt, a marsala leather jacket, an eye-catching striped pom pom scarf, skinny jeans, leather ankle boots and a brown leather tote. 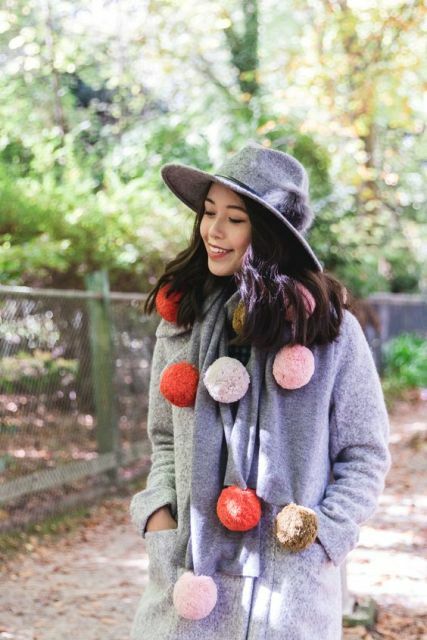 For colder days you can mix a gray felt wide brim hat with a gray woolen straight coat, trousers and a gray scarf with red, pale pink and brown pom poms. 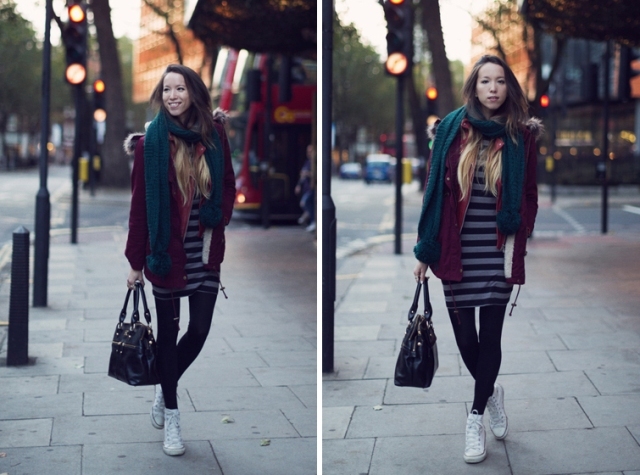 Wanna make a comfy but feminine outfit at the same time? Then you need to get a beige or white sweater dress and combine it with white tights, brown fur lace up boots and a red long pom pom scarf. 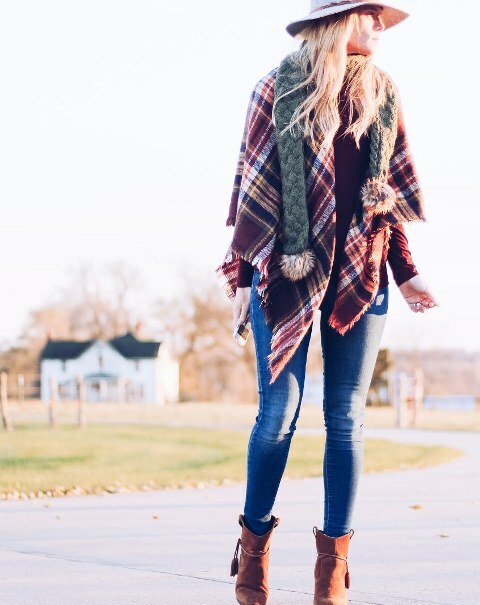 Or you can pair a white button down shirt with a black mini skirt, black tights, black ankle boots, a gray mini coat, a marsala suede bag and a pale pink scarf with pom poms.